Sony TV presents a new horror show Bhoot Aaya!! Will you conquer fear, or will fear conquer you? A horror show presenting paranormal and mysterious stories of people who have come across such bizarre incidents in their life. The realm of the paranormal is unexplained and mysterious, but are there scientific and rational explanations for this phenomenon? Horror stories, by definition, are scary but when you know they are based on real life incidents, does the fear factor increase? Based on supernatural true incidents; Bhoot Aaya' is Sony Entertainment Television's latest offering, which attempts to explore the unexplained forces of the dark world and their encounters with humans. Produced by Akashdeep Sabir and Sheeba's Cinetek Telefilms Pvt. Ltd, the show will depict real life, spine chilling experiences of ordinary people. Every city, town or village has its stories of haunting, encounters with the unknown, possessions by spirits, exorcisms and many more. This gripping series will feature such inexplicable happenings as re-enactments of real life stories, bringing to life actual stories of people who have lived through these eerie events. These stories will be fictionalized and interspersed with the narrations by the victims' themselves. Each episode will also introduce experts from the Indian Paranormal Society of India and other pertinent fields, who will be sharing their opinion on these encounters. Their findings will be revealed as a compelling conclusion of each episode. Speaking on the launch, Aloka Guha, VP & Head - Non-Fiction Programming, Sony Entertainment Television said, "This show brings forth real life incidents which have happened across the country. The events are reconstructed and the story is told from a victims' point of view. Existence of the supernatural has always been questioned, however it arouses a lot of curiosity and many people believe in it. We hope that after this show airs, many people will be able to make up their own mind in what the real truth is!" Mr. Akashdeep Sabir, Creative Director, Cinetek Telefilms Pvt. Ltd. states "Bhoot Aaya will recreate real incidents in an attempt to dispel the hoaxes from the real and possibly unexplainable. It's this investigation and matter of fact approach which will set 'Bhoot Aaya' apart. This show tries to uncover the truth behind some of the most compelling and seemingly mystifying occurrences that have ensued in different places in India. The show focuses on the realm of the supernatural, events that are experienced by those who have lived to tell their story; a journey of ordinary people who have had extraordinary experiences." Tune in to Bhoot Aaya starting October 13, Every Sundays at 11 pm only on Sony Entertainment Television (Sony TV). 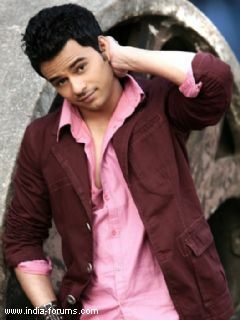 Anshul Singh in Bhoot Aaya! Anshul Singh who was last seen in Zee TV's Sapne Suhane Ladakpan Ke, is now all set to be seen playing the lead in one of the episodic of Sony TV's Bhoot Aaya. According to our source, "Anshul will be seen playing the character of Abhishek in one of the upcoming episodes of the show. The story will revolve around the story of a Manglik girl. A pandit tells the parents of that girl that if she will get married to a tree first before getting married to Abhishek then his life will be saved. The girl's family lets her marry to a tree first before getting married to Abhishek. Later some paranormal activities start to happen in the couple's life." When contacted Anshul, he confirmed the news saying, "I am playing the character of Abhishek who gets married to a manglik girl. I have finished shooting for the episode and it has been a very good experience for me to play this character. I am looking forward to play some good roles in future."